On the face of it, it might seem an odd pairing: Hitchcock a droll Cockney Catholic, who after a string of brilliant English thrillers such as The 39 Steps and The Lady Vanishes had gone to Hollywood at the invitation of producer David Selznick in 1939 to make Rebecca and who had settled in America; Herrmann a volatile Jewish New Yorker of prodigious musical talent as conductor as well as composer, and for the concert-hall as well as the movie screen and incidentally a great Anglophile: he loved English music and English literature. They came together, though, through a colossal mutual professional respect; a shared sense of humour (Herrmann’s widow, Norma, told me that when I asked her what she thought was the secret behind their successful partnership: ‘They had a very similar sense of humour,’ she told me, ‘quite dark and mischievous’); a certain similarity of outlook (both nurturing under defensive exteriors a deeply romantic sensibility); and similar aesthetic goals. Herrmann thought that the key to good film music was the ability of the composer to seek out and intensify the inner emotions of the characters, not just to illustrate and accompany the drama but to get inside it (if you can’t do that, he thought, then you shouldn’t be writing music for films in the first place); and that corresponded to Hitchcock’s aesthetic of conveying psychological intensity not through histrionic display but through cinematic means of composition and montage. When they teamed up in the mid 1950s, both were on a career high. Having been in Hollywood for 15 years, Hitchcock was now established as a major player. He had just made one of his greatest films, Rear Window (1954); had launched his hugely successful television series Alfred Hitchcock Presents which, through his witty introductions and conclusions, had made him a star in his own right, which undoubtedly enabled him to make controversial films like Psycho on the basis of his name alone; and, significantly, was being hailed not simply as the ‘Master of Suspense’ but a major artist- an auteur, indeed- by the young critics and budding film-makers of the magazine Cahiers du Cinéma, who were soon to form the nucleus of the French Nouvelle Vague: Francois Truffaut, Jean-luc Godard, Eric Rohmer and Claude Chabrol. Similarly with Herrmann. Having begun his professional career as a staff musician for CBS radio and collaborated with a boy wonder by the name of Orson Welles, he had accompanied Welles to Hollywood and begun his film music career in spectacular style with his score for Citizen Kane, which was a musical milestone as well as a movie masterpiece, because it broke away from the lush Europeanised romanticism of composers such as Korngold and Max Steiner that had dominated Hollywood soundtracks in the 1930s and created a much starker sound that often involved an innovative use of the orchestra: in Howard Goodall’s phrase, he replaced sentiment with anxiety. Straight after Kane, he won an Oscar for his score for The Devil and Daniel Webster; and one of his typically Gothic scores of the mid-1940s, Hangover Square even prompted a fan letter from a 15-year-old Stephen Sondheim. During the 1940s he was trying to divide his time between his concert and cinema engagements and between composing and conducting but was now in such demand by the studios that the concert and conducting ambitions were having to take a back seat. This frustrated him in some way because he was a formidable musician whose real love was conducting (he never quite forgave André Previn for landing the post of principal conductor of the London Symphony Orchestra – he would have loved that job). Which career path should he choose? His widow Norma Herrmann once showed me a copy of the score he had of Stravinsky’s Symphony in 3 Movements which he had asked Stravinsky to sign, and the inscription reads: ‘To the excellent musician and conductor, Bernard Herrmann. Cordially, I. Stravinsky.’ For a 20th century musician, an inscription such as that from Stravinsky would be like a reference from God: I doubt whether Stravinsky would have done that for Herbert von Karajan. Herrmann completed his opera based on Wuthering Heights in 1951, but by the mid 1950s, he was in such demand as a film composer that his path had been chosen for him. When Hitchcock came along, the partnership ‘jelled’ immediately, with Herrmann catching the tone of Hitchcock’s macabre comedy thriller, The Trouble with Harry to perfection with a witty, alternately playful and portentous score that really added to the fun; then scored The Man who Knew Too Much and The Wrong Man with an appropriately menacing tread, sometimes flamboyant, sometimes eerie and troubled; and then the Golden Period, between 1958 and 1960, when we had three masterpieces of film direction and film scoring one after the other- Vertigo (1958), North by Northwest (1959) and Psycho (1960), the latter being perhaps their ultimate collaboration in terms of success and impact: it’s noticeable that Herrmann’s name comes up second on the credits just before Hitchcock’s, as if emphasising his importance. BUT: with hindsight, it’s possible to see that the Psycho collaboration contained hints of future discord, areas of disagreement that here had been successfully resolved but might have left niggling feelings of disquiet. For example, it is well known that Hitchcock had originally not wanted music for the shower murder whilst recognising that the whole film depended on the effectiveness of that scene – everything leads up to it and everything that follows is dependent on its impact, so if that sequence didn’t work, then the whole film would go down the drain, as it were. 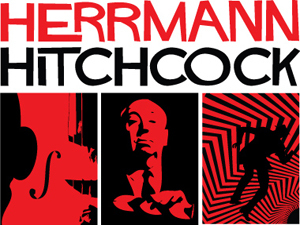 Herrmann came up with those screaming violins, perhaps the most immediately effective cue in film music, and in essence proved Hitchcock wrong, which generally was not a wise thing to do. Still, to give Hitchcock his due, he deserves credit for giving way on this point (when Herrmann with typical mischief reminded him that he’d said he didn’t want music for this scene, Hitchcock replied, ‘Improper suggestion.’); and, in fact, I was once on a radio programme with writer/director Peter Bogdanovich who’d attended the New York premiere of Psycho when little was known about the film and he said the audience was screaming so loudly during the shower murder that he never heard the music, so maybe Hitchcock was right after all. At one point Hitchcock was getting cold feet about the film and was thinking of cutting it down to an hour to show as one of his television specials and it was Herrmann particularly who persuaded him not to do that and that it was one of his major films; and what particularly persuaded him was seeing the complete film with the score. In short, Herrmann was becoming very important, the danger of that being that he might be stealing some of his thunder (and Hitchcock was notoriously loath to give credit to his collaborators). In the end, with Psycho, everything worked out triumphantly, but his next film The Birds had a mixed critical and commercial reception (Herrmann on that film being more of a technical consultant as it didn’t have a conventional score); and then when Marnie, which had one of Herrmann’s full-blown romantic scores, flopped with critics and public, being regarded as clumsy and old-fashioned (it has been re-evaluated since), the Hitchcock/Herrmann partnership was put under stress as never before. Things came to a head over Torn Curtain. There is no doubt that Hitchcock was under considerable pressure from the heads of Universal Studios to commission a score for his new film that was commercially exploitable, which was becoming a feature of films at that time. They had seen how Henry Mancini’s ‘Moon River’ had boosted the popularity of Breakfast at Tiffany’s and Maurice Jarre’s ‘Lara’s Theme’ had added to the appeal of Dr Zhivago; and there was the widespread feeling in the industry in the mid-1960s that the conventional symphonic score of Hollywood’s heyday was now a bit old-hat. The pressure on Hitchcock would have been intensified by his terror, as Herrmann’s widow has described it to me, of what he called ‘the whizzkids’ and of being thought old-fashioned and out of touch with the tastes of the contemporary audience. Before he’d always seemed ahead of the game, particularly with Psycho, which had been enormously popular and ahead of its time and had confounded the critics, many of whom had condemned the film at the time and had been compelled to eat their words. Was he losing his touch? Was a new strategy required? So initially Hitchcock’s decision to keep faith with Herrmann could be seen as being commendably loyal, particularly as Herrmann was a notoriously cantankerous character who made no secret of his contempt for the studio’s attitude to, and ignorance of, film music. Conversely, I think it would be wrong to suggest, as the critic of The Times did when reviewing a concert of Herrmann’s film music in 2006, that the relationship foundered during Torn Curtain because ‘Hitch’s lordly ways had, it seems, been gnawing way at Herrmann for some time.’ I don’t think that is so- if anything, it’s more true the other way round. Whatever the niggles over the Psycho experience, the swiftness and finality of their falling-out over Torn Curtain seems to have taken Herrmann completely by surprise. Another misconception (reiterated by Howard Goodall in an otherwise splendid programme he did on Herrmann’s music for Channel 4) has been the suggestion that, after the Torn Curtain debacle, Herrmann was seized on by Francois Truffaut to write the score for Fahrenheit 451 (1966). In fact, Herrmann had been commissioned for the Truffaut film before the Hitchcock; and indeed there is a letter by Truffaut to Hitchcock (18 November, 1965) which deepens the mystery of their subsequent split. ‘In London,’ Truffaut wrote, ‘I met Bernard Herrmann who will be writing the score for Fahrenheit 451. We had a long talk together about you and I feel that, in him, you have a great and genuine friend.’ It is a reminder that the break-up was not simply a professional blow but, for both men, a devastating personal loss. Herrmann was undoubtedly one of Hitchcock’s closest friends in the film community, and vice-versa. They went shopping together, apparently; would wash up together after meals; and crucially, would confide in each other and exchange confidences about their private lives- and at that particular time, both of them had quite a lot to exchange. During the filming of Marnie, Hitchcock had become infatuated with his leading lady, Tippi Hedren, and although accounts might differ as to how far this infatuation went, it certainly ended unhappily (‘She said something that no one is ever allowed to me,’ he told his authorised biographer, John Russell Taylor, ‘she referred to my weight’). At the same time Herrmann was experiencing the collapse of his second marriage and going through a very painful divorce. So I’ve no doubt Truffaut was right: there was a great bond and friendship there, which makes the break-up all the more extraordinary. The exchange of telegrams between them about the upcoming score make interesting reading. Although remaining loyal at this stage to Herrmann, Hitchcock had expressed his disappointment at the composer’s most recent score for the film Joy in the Morning (1965), which he’d found repetitive and derivative, and demanded a different approach that recognised, as had European film makers, a new audience that was, in his words, ‘young, vigorous and demanding’ and required a score that had ‘a beat and a rhythm.’ ‘If you cannot do this,’ he concluded, ‘then I am the loser’ (words that, one could say, would come back to haunt him). Herrmann seemed unfazed by this and responded with enthusiasm: ‘Delighted to Compose Beat Score for Torn Curtain. Always Pleased to Have your Views.’ Hitchcock immediately got a production assistant to cable back: ‘These are not views: these are requirements.’ Whether Herrmann quite understood what Hitchcock was getting at is a moot point; directors are not always good at conveying to composers what it is they’re after. (Anecdotally, I can remember interviewing the director Fred Zinnemann during the making of his last film, the mountaineering drama, Five Days One Summer when he’d had a falling-out with his composer, Carl Davis: he’d wanted a small intimate score, he said, and Davis had composed for an orchestra of Richard Strauss’s Alpine Symphony proportions, and I remember thinking: how could they have misunderstood each other so completely?) It’s not clear to me whether Herrmann did think he was delivering what Hitchcock wanted or went away and did his own thing, thinking that that this was the fix the film needed. (As he used to put it: ‘You expect a doctor to make you well: you don’t expect him also to make you rich.’) Were Hitchcock’s requirements specific enough? He told Herrmann that the score should be modern, that he had very definite ideas about where the music should go, and that there shouldn’t be too much of it. Herrmann had simply responded: ‘Please send script indicating where you desire music- can then begin composing.’ Hitchcock had told him that ‘the main title should be exciting, arresting and rhythmic’. One could certainly argue that Herrmann’s main title music was all of those things: what it was not, however, was melodically memorable or obviously commercial. Herrmann went away and wrote the score. In March 1966, the Goldwyn studios in Los Angeles were booked for two days for the recording of the score, with Herrmann conducting. And then all hell broke loose. Versions of precisely what happened that day have tended to differ. In broad terms, Herrmann started recording the score with the orchestra and the session was going well. Indeed, after the playback of the title music, the musicians had burst into spontaneous applause, a rare tribute from seasoned Hollywood musicians, who would have been accustomed to André Previn’s cryptic summary of the film composer’s perennial dilemma: ‘Do you want it good or do you want it Thursday?’ However, as soon as Hitchcock appeared on the scene, the atmosphere changed. His first sight of Herrmann’s orchestra would have startled him, because it was typically unconventional: 12 flutes, 16 horns, 9 trombones, 2 tubas, 2 sets of tympani, 8 celli, 8 double basses, and no violins – he must have wondered where his hit song would have materialised out of that combination. But there is question: why was he there in the first place? Was it his usual practice of attending recording sessions? (I’ve been told that he wasn’t at the recording sessions of Psycho, for example.) In his biography of Hitchcock, Patrick McGilligan writes that ‘Hitchcock kept an appointment with Herrmann in late March to listen to the first recording of the music’. However, an article on the Bernard Herrmann website by Steve Verlieb in 2002 states that: ‘Hitchcock who must have been warned by his spies about the performance, arrived unannounced on the stage accompanied by his assistant Peggy Robertson to listen to the newly recorded cues.’ If I incline towards this second interpretation rather than the first, it’s for two reasons: 1) Norma Herrmann told me that Herrmann as a rule didn’t like directors turning up at his recording sessions, for he thought they had no business there (they’d done their job, leave him to do his); his ideal was someone like Truffaut, who would just arrive, wish everybody good luck, and then disappear; and 2) if Hitchcock had been invited, why wasn’t he there at the start of the session, particularly as he’d made specific requirements about the main title music? Also, if he’d been invited, would Herrmann have started without him? These are not conclusive arguments, but they do tend to suggest to me that Hitchcock’s arrival was unexpected. Well, whether Herrmann was expecting him or not, he seemed unperturbed and asked the engineer to play back what they had recorded, at which point, according to McGilligan, ‘the director didn’t get very far before shutting the recording off’. A row broke out between director and composer in front of the other musicians, in which Hitchcock declared that the score was exactly the kind of score he hadn’t wanted and cancelled the session on the spot. ‘Where’s the theme song?’ Hitchcock apparently demanded of Herrmann: not love music or romantic music, as has sometimes been suggested, but a hit song, a ‘number one’, as he put it, and he kept demanding. ‘Where’s the theme song?’ ‘I know this,’ Norma Herrmann told me, ‘as Benny used to say in later years with the greatest contempt in his voice, ‘Theme song! Theme song!’ Hitchcock then walked out (though the principal horn player Alan Robertson told Norma Herrmann that it was Herrmann who had stormed out first) and went over to Head Office, apologising for what had happened, confirming the cancellation of the next day’s recording session and offering to pay Herrmann’s salary out of his own pocket to atone for his mistaken loyalty in hiring him in the first place. What has always struck me as extraordinary about that chain of events is that, for Hitchcock, it seems so out of character. Everyone who knew Hitchcock- and it’s confirmed by every interview about him I’ve ever seen or every book on him I’ve read- agreed that he was a man who hated confrontations (it was one of Ingrid Bergman’s grouses; ‘You can never have an argument with that man, he just walks out of the room’); and yet, in this instance, according to some accounts, he seems to have gone our of his way to provoke a confrontation and to cause maximum embarrassment in the process. Later that day Hitchcock rang Herrmann, who was still in the recording studio in a state of shock. They resumed their argument, Hitchcock furious with Herrmann for disobeying instructions and Herrmann angry with Hitchcock for capitulating to the wishes of studio bosses. Hitchcock would have been particularly cross also because the composer had written music for a brutal murder scene when the director had expressly told him not to: this was a sensitive matter when one recalls that Hitchcock had not wanted music for the shower murder in Psycho – clearly he did not want to be proved wrong twice. To prove him wrong once might be a misfortune; to prove him wrong twice looks like carelessness. And incidentally there’s an odd sub-text to this: the music Herrmann used for this was music he’d used years before for the Hitchcock TV episode ‘Behind the Locked Door’: whether Hitchcock recognised this is unknown, but if he had, it would certainly have made even madder, because it would have confirmed his belief that Herrmann was beginning to repeat himself. Herrmann, though, would have probably said, as he had of the Psycho incident: ‘If you don’t like it, don’t use it.’ In any event, according to Herrmann’s biographer, Steven Smith: ‘Both voices were rising; and the conversation quickly ended. It was Hitchcock and Herrmann’s last.’ That last statement, incidentally, is not strictly accurate, as I will shortly explain. (1) If Hitchcock was so insistent on requiring a commercially exploitable score, why had he commissioned Herrmann in the first place? Herrmann was not incapable of accomplishing this, but he wouldn’t necessarily be your first choice. The positive reading of Hitchcock’s motive would stress loyalty to, and confidence in, his composer-friend. The negative – indeed paranoid – reading of his motive would suggest that he was deliberately setting up a confrontation. If so, why? I’ll return to that in a moment. (2) Also, even thrown by the sight of Herrmann’s orchestra and disliking what he had heard, why did he not at least listen to the score in its entirety? This was Herrmann’s own argument: the sessions have been booked, the musicians will still need to be paid, why don’t we just carry on and finish, and if you still don’t like it, then throw it out? (He might have added that, after all, audiences didn’t exactly go out of the theatre whistling the theme from Psycho but no one would dispute the importance of the music to that film’s success.) Hitchcock wouldn’t hear of it. Again defenders of Hitchcock might say that, having expressed his displeasure so forcefully, he could hardly be expected to go back on it: he’d look a bit of a fool if he said at the end of it all ‘Actually I quite like it now’. But to me this detail highlights the most extraordinary aspect of the affair: not the fact that the score was rejected but the way it was rejected, which in my view was-and still is- unprecedented. After all, umpteen scores have been thrown out in different circumstances and replaced, but this is something else. There is no other occasion I can recall where a director has halted a recording session in mid-flow after hearing only one section; berated the composer, who is not some newcomer but the finest in the business, in front of the other musicians; and essentially rejected the complete score without hearing it. And this coming from one of the foremost of all director/composer partnerships and involving two great artists who had previously been great friends. I honestly can’t think of anything quite like this in the annals of movie history. (3) After ditching Herrmann, why did he replace him with John Addison, a perfectly competent film composer but who was no more likely to come up with a ‘popular’ film score than Herrmann? There were certainly more obvious choices, and we do know that, for example, Dimitri Tiomkin, who had worked with Hitchcock before and had a good track record of popular hits (High Noon, High and the Mighty, Friendly Persuasion, Green Leaves of Summer amongst them) agitated for the job. The obvious choice, if available, would have been Henry Mancini, not only one of the most popular composers of the day but extremely adept at writing music for thrillers (The Grip of Fear, Charade). 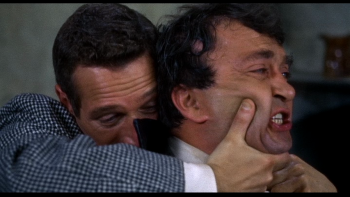 The irony here is that Hitchcock was later to commission Mancini to write the score for his 1972 film, Frenzy, but then rejected it because, he said, it sounded it sounded too much like Bernard Herrmann. Anyone who has heard some of Mancini’s score and compared it with Ron Goodwin’s replacement might feel, with me, that Hitchcock made the wrong choice – again. 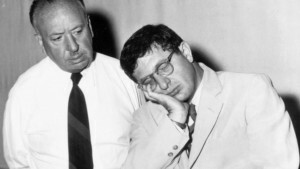 In a television documentary entitled Music for the Movies: Bernard Herrmann, a number of the interviewees, like Claude Chabrol, for example, see the break-up between Hitchcock and Herrmann as entirely Hitchcock’s fault, and that indeed he may even have engineered the showdown, though personally I think that might be taking paranoia a little too far. However, I do believe that certain ingredients of potential conflict had been bubbling for some time and, on this fateful day, boiled over. In the documentary the great film musicologist and arranger, Christopher Palmer, who was very close to Herrmann, suggested that Herrmann was becoming too important and perhaps getting too big for his boots; and Hitchcock, feeling as insecure as only a man with a man with a massive ego can feel, was determined in this instance to demonstrate who was boss and in as public a manner as possible. The person most critical of Hitchcock in the documentary was the composer David Raksin (composer of great film scores for films such as Laura, The Bad and the Beautiful etc.) who also seemed to suspect a set-up. ‘He was determined to humiliate Benny’ he said, (Herrmann was known to his friends as ‘Benny’) and he described Hitchcock of having, as he put it, ‘the loyalty of an eel’, showing no gratitude towards the man whose music had so enriched his movies. As a film composer himself and a close personal friend of Herrmann’s, Raksin could be seen as a partial witness; but he was quite close to the event, Herrmann having showed him parts of the score prior to the recording (‘I was amazed at the quality’, Raksin told me). Raksin also saw Herrmann and the leader of the cello section on the day of the recording session, Edgar Lustgarten, on the day of the recording session after the argument had happened, when Herrmann was badly shaken. In a letter to me, Raksin told me how he, Lustgarten and their wives had invited Herrmann to dinner that evening and had tried to cheer him up, but when Herrmann started to offer ‘a kind of loopy defence of Hitchcock’, as Raksin put it to me, he lost his temper with him, feeling that he was wrongfully defending the director for an act of gross insensitivity, cruelty and ingratitude. Very Hitchcockian, that: when Paul Newman shouts ‘Fire!’ and causes panic in the auditorium, some of you might have been reminded of the Royal Albert Hall sequence in The Man Who Knew Too Much (1956) when Doris Day’s scream halts a concert performance and foils an attempted political assassination. The music is very resonant, coming from Tchaikovsky’s tone-poem ‘Francesca da Rimini’, inspired by an episode from Dante’s Inferno in which the souls of two lovers are swept into the flames of hellfire. Whose choice was it? There’s no doubt in my mind that it was Bernard Herrmann’s and would have been made before the two fell out. My conviction about this point, incidentally, has been confirmed by correspondence with Norma Herrmann, who thought the same. ‘It makes sense anyway,’ she told me, ‘because on the wall of his study is an old engraving of Francesca….Benny bought it during the Depression as the music was a great favourite of his. He used to walk past it and stop and conduct in front of it, singing very badly.’ My feeling is that, just as Wagner’s Liebestod from Tristan and Isolde was Herrmann’s key to the mood and theme of his great score for Hitchcock’s Vertigo, he sensed that Francesca da Rimini fitted the mood and theme of Torn Curtain, interpreting what Hitchcock had delivered not as a simplistic tale of heroism and democracy (which is how a number of critics disdainfully read it) but as a subversive tale of hellfire and damnation. 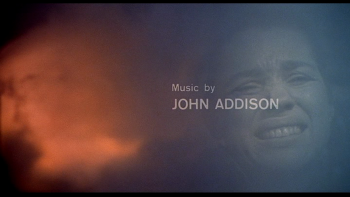 Think of the credits of the film: fire and smoke billowing out on one side of the screen, faces writhing in agony on the other, as if they are souls in purgatory. Whether Hitchcock saw the material in quite that way is another matter. It has often been asserted that the two never spoke to each other again after that disastrous day and that Hitchcock actually hid behind his office door when Herrmann once turned up unannounced. However Norma Herrmann (she married Herrmann in 1968) told me that she was actually present at an occasion when they met again, when Herrmann gave Hitchcock a recording of his opera of Wuthering Heights; and she also showed me an affectionate inscription by Hitchcock to Herrmann when Herrmann asked him to autograph his copy of Francois Truffaut’s book-length interview with Hitchcock, and that was dated 1967: i.e. after the Torn Curtain bust-up. Herrmann was to continue to speak admiringly of Hitchcock in interviews; by contrast, Hitchcock in public was never again to mention Herrmann’s name, if it could be avoided. When one interviewer was brave enough to ask him if he would work with Herrmann again, he replied: ‘Only if he did as he was told.’ In personal terms, the one who came off worst was definitely Herrmann. He was deeply wounded by the split; genuinely surprised it had happened; and hoped that his superb 1969 recording of orchestral suites from Hitchcock’s films, with its affectionate ‘Portrait of Hitch’ derived from themes from Trouble with Harry would serve as an olive-branch: but to no avail. But what about professionally? The irony is that, although many believe it was Hitchcock more than Herrmann who was to blame for their falling-out, it was Hitchcock who suffered the most from their parting. He was never again to secure a film score remotely in Herrmann’s league (John Williams’s charming score for Family Plot was the nearest) and his films were diminished as a result. By contrast, after a few lean years, Herrmann was re-discovered in the early 1970s by the Movie Brats and particularly championed by Brian de Palma and Martin Scorsese. He wrote a thunderously romantic score for De Palma’s Obsession, a virtual re-make of Vertigo when the Hitchcock film was out of circulation because of a prolonged copyright dispute and where Herrmann’s score seems almost like a passionate homage to himself and to his Hitchcock past. And poignantly, as another reference to his Hitchcock past, the very last notes of his final film score for Scorsese’s Taxi Driver quote the three-note madness motif of Psycho to suggest the continuing unresolved psychosis of the Robert De Niro character, ironically acclaimed as a hero after his rampage of righteous slaughter has almost inadvertently rescued a teenager from a life of prostitution but where the man is still clearly profoundly disturbed. (‘He’s gonna do it again,’ said Herrmann, explaining that musical touch at the end, ‘he’s gonna do it again.’) Completing the recording session for Taxi Driver on Christmas Eve 1975, Herrmann retired to his room in a Los Angeles hotel and died that same night. The film is dedicated to his memory. Herrmann thought of film music as ‘the connecting tissue between the screen and the audience, reaching out and enveloping all into one single experience.’ That is very close to Hitchcock’s aesthetic of using all the elements of the film apparatus to envelop an audience in an emotional experience. ‘Ours not to reason why,’ he would say, ‘ours just to scare the hell out of people.’ And yet: he moves us, as well as terrifies us; and in this, particularly in masterpieces like Vertigo and Psycho, he is helped immeasurably by Herrmann’s music, which seemed so imaginatively and innovatively attuned to the fraught psychological landscape of Hitchcock’s world. What a pity it was that this quite remarkable partnership should have ended so abruptly and dramatically in rancour and regret, though, given two such powerful personalities, perhaps it was inevitable. At its finest, though, in my view, it was a director- composer relationship (and there have been many great ones) unmatched in film history for dramatic flair and cinematic symbiosis. Or, to put it more simply, they brought out the best in each other – and in their respective fields, that best is better than practically anyone else’s best. This entry was posted in Talks and tagged Alfred Hitchcock, Alfred Hitchcock Presents, Andre Previn, Bernard Herrmann, Carl Davis, Dimitri Tiomkin, Film music, Francois Truffaut, Fred Zinnemann, Henry Mancini, Igor Stravinsky, John Addison, Psycho, Taxi Driver, Torn Curtain by admin. Bookmark the permalink.